Like so much in our bodies, muscle size and tone is influenced by hormones. Testosterone specifically. Women can't build big muscles naturally, no matter how much they train, because they lack testosterone. If you take the testosterone away from a physiological male, they lose muscle fast, if you supplement testosterone in any individual, they start packing on the meat. I am so unbelievably jealous of how my husband just has to do a couple of sets of push ups and suddenly he's all muscles, I have to work so much harder to get half the results. But what about female body builders? Are you a training like a bodybuilder? Are you lifting enormous volume (sets and reps) on a daily basis? Are you taking loads of supplements? Is your body fat cut to such a low percentage that your menstrual cycle has stopped and your hormone production shifted? Are you taking anabolic steroids? No? Then you aren't going to accidentally get the body of a female bodybuilder. Bodybuilding takes enormous dedication and sacrifice, it's hard. It's not an accident, it's a positive choice made by those individuals because they are prepared to build their lifestyle around looking that way, and that's just fine too. Have you ever noticed that weightlifters don't look like bodybuilders? Take a look at these images of top level athletes, the first one shows some bodybuilders and weightlifters. Notice that the weightlifters don't have enormous, defined muscles like the bodybuilders. That's because they train differently. Hypertrophy (muscle building) training is about making muscle fibres bigger. Bodybuilders damage their fibres, they do large sets and train with lactic acid build up to stress the muscles and make them larger. They also do a lot of small isolations to sculpt every little muscle. Strength training on the other hand is about doing fewer reps of the largest weights, with longer recovery periods. Lifting the heaviest weights does not build the biggest muscles. It's also worth remembering that we have a skewed idea of what fitness looks like in general. I know some slim, lightly built men who train very hard and lift huge weights, your genetic body type plays a huge part in this, fitness models are just as unusual in their body type as fashion models. Weird huh? You can't actually grow new muscle fibres, you have all you have. You can make your muscle cells more efficient, and you can make them bigger, holding more water, more fuel etc. But most of the changes that come with weight training are actually neurological. When your muscles are under strain, receptors feed back to let your central nervous system know what's going on, and at some point, your brain will decide enough is enough and stop the contraction. In addition, the number of fibres in a muscle that actually contract, is relatively small in an untrained individual. Your body is protecting itself from damage, because it doesn't really know what it's capable of. By training you are strengthening your joints and soft tissues, and gently challenging the boundaries of your nervous system until eventually you are recruiting more muscle fibres into every lift. More strength, no extra size. 4. There are too many benefits to weight training to be missing out. Resistance training is really good for you. It boosts your metabolism, improves your body composition, improves your overall health. Almost everyone can benefit from resistance training. Also, you don't need to be lifting freeweights in the gym, so choose a training method that you love. I love freeweights, and I would always encourage women not to be shy when stepping into the freeweight zone. But I also love bodyweight training and with the right exercises, you can train full body strength with little or no equipment. 5. Women are really good at lifting. We really are. 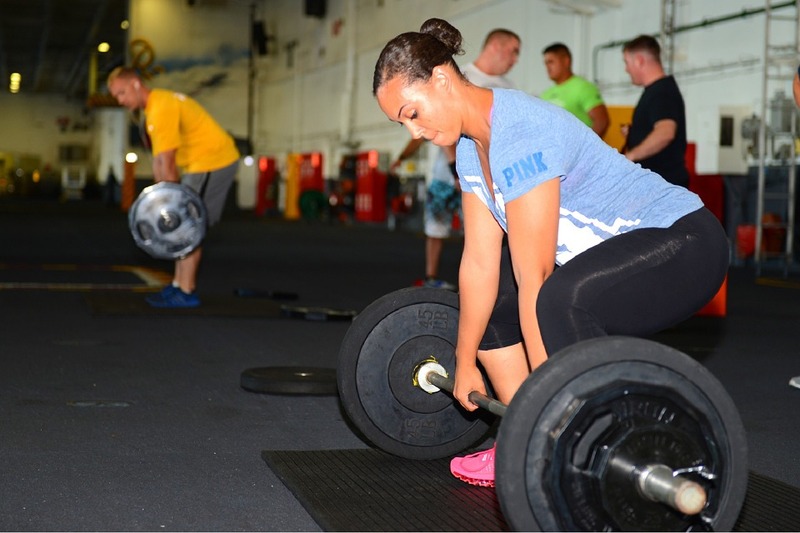 Women tend to have better core strength, high power to bodyweight ratio, high levels of stamina and resilience. Don't let the boys bully you off the squat rack, you belong there. If you don't believe me, read this one. 6. And whats a "manly" or "womanly" body anyway? Who said that women should have small bodies? Why can't we take up all the space we want, lift our own heavy stuff, open our own jars? Who decided that muscular definition was less attractive or feminine? I remember a turning point I had when I read a reply to a cruel comment online suggesting the woman in a picture looked "like a man". It went something like "no, she's a woman, and that's what she looks like, so clearly she looks like a woman". As a culture we have some weird ideas about how women should look, and let's face it, most of us aren't capable of getting there, if we even wanted to. I personally much prefer myself with tone and muscular definition. I love seeing it on other women too, it's evidence of work, activity and dedication. When I see a woman with muscular definition I think about how great it is that she is able to do activities she enjoys and have the resources to devote to making herself feel good and stay healthy. That's good times. Don't be afraid of it. Got questions about lifting? Want to know how to set up a program that works for you? Roll on over to my Personal Training page and see how I can help.